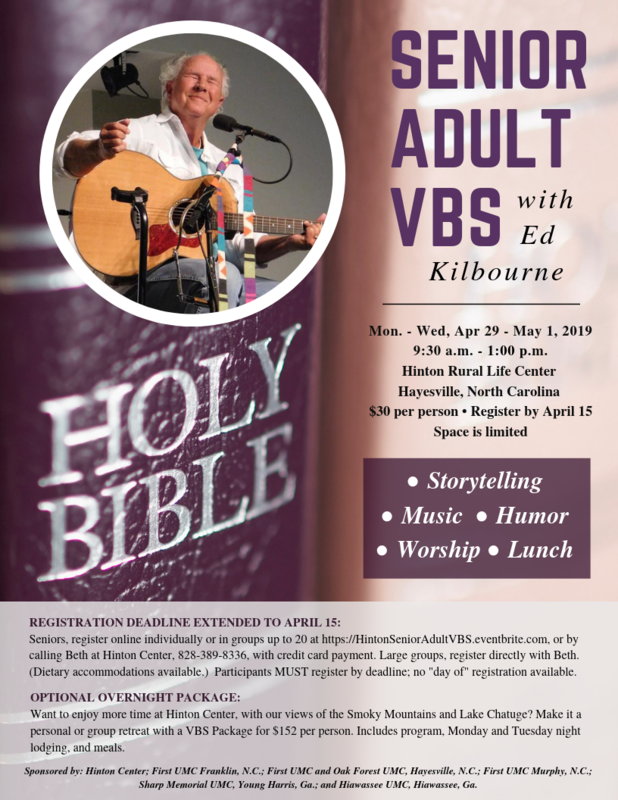 Senior adults will enjoy three mornings of “Vacation Bible School” (VBS) fun and fellowship with singer and folk-theologian Ed Kilbourne. Each Bible School session includes storytelling, music, humor and worship. Ed has resourced congregations and church organizations in worship and concerts for many years and now offers this special event for the “saints and sages” of the church. Each session starts with check-in and gathering at 9:30 and concludes with lunch at noon, provided by Hinton Center’s executive chef.